Does green colored food get a bad rap? Split pea soup, spinach pasta, green smoothies, guacamole, green colored cakes and cookies… All are delightful foods, but they rarely look appetizing, especially in photos. I will admit that I was finicky about the amount of green-ness going on when I created the Double Mint Cookie Bar, so maybe my problem is with green sweets? It’s not easy being green. 😉 Whatever my hang up is, I apparently don’t have an issue with green savory dishes. 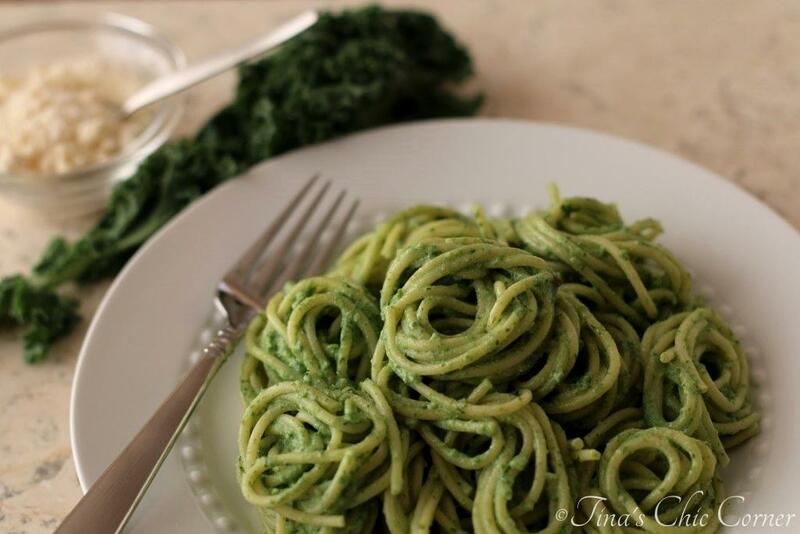 There are tons of green colored savory foods that I love and this pasta coated in a creamy kale sauce makes the list. Yes folks, I actually said kale. Cut the stems out of the kale leaves. In the mean time, cook the spaghetti according to the directions on the box. Drain it once it’s done cooking. In a medium skillet, on Medium heat, heat the butter and cook the chopped onions until translucent. Add in the chopped garlic and cook for about 1 minute. 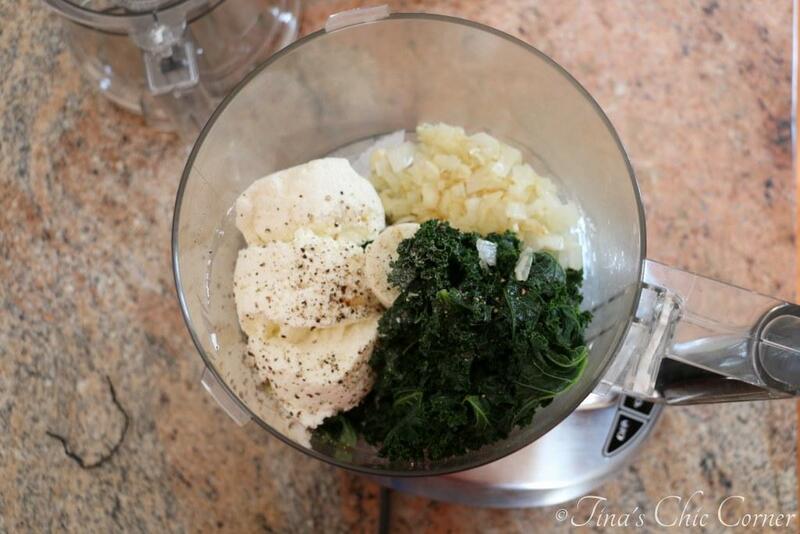 Add the kale leaves, onions, garlic, ricotta cheese, milk, salt and pepper into a food processor and process until smooth. I love the simplicity of this dish. Dinner in 20 minutes! I feel that if I lived in California then perhaps kale wouldn’t be a stranger in my kitchen. Two weeks ago I tried to buy it at my local grocery store. I thought that if I had it in my fridge then I’d be inspired to cook with it. However, there was only one sad bunch left and the leaves were all gross looking. I checked the store again last week. Victory! There were a whopping 5 bunches to choose from. With my bunch of kale in hand, I proudly set out to take on this kale phenomenon. 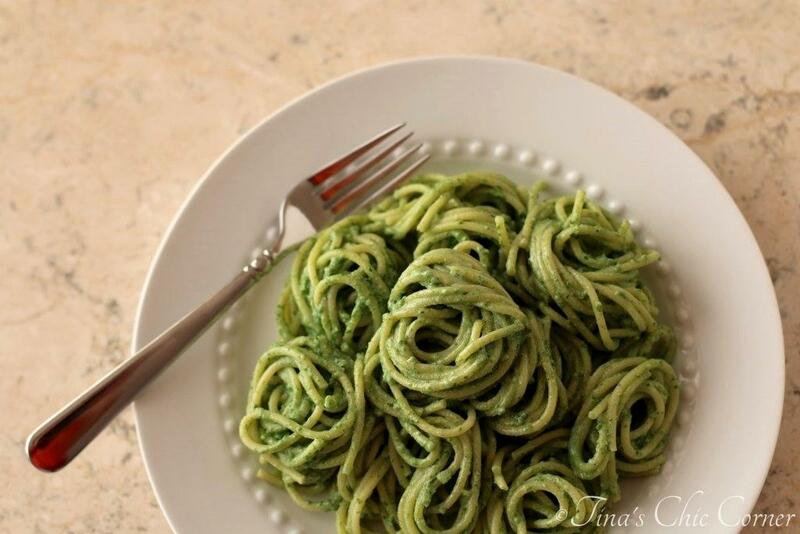 Brace yourself for a plate full of green colored pasta! Regardless of how it may come across in photos, this kale sauce is delicious! I don’t even think that you taste the kale. All of the wonderful flavors from the onions, garlic, and seasonings compliment it so well and bring everything all together into this fabulous sauce. It’s creamy, but it isn’t perfectly smooth thanks to the little tiny bits of kale. Are you new to kale? Perhaps you’re a bit intimidated by its fancy looking leaves or by its superfood reputation. This sauce is a great introduction for those of you who have not yet jumped on the kale bandwagon. If you are already a kale enthusiast, then hopefully this is a creative new way to enjoy it. If it’s not obvious already, this sauce is very healthy because I used low fat ricotta cheese and milk. Yay, for healthy points! 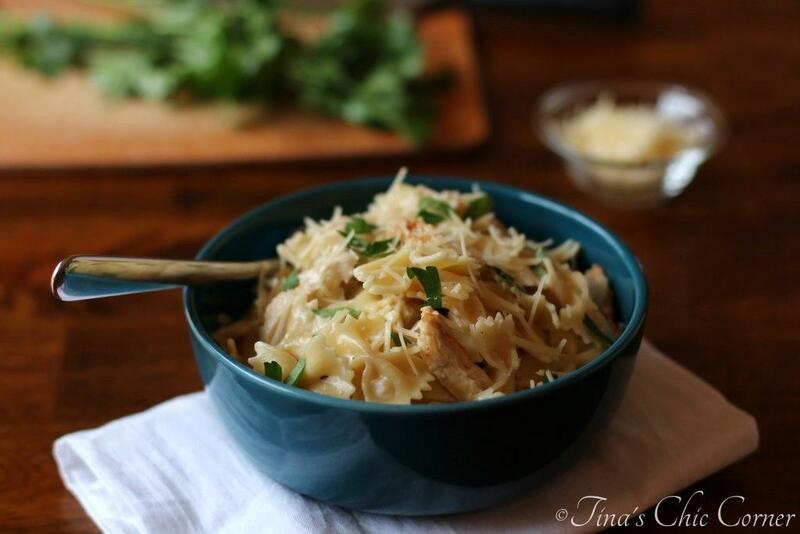 Here are some of my other favorite pasta dishes. I am with you on the kale. this is a very interesting dish. the execution looks great. how did it really taste? I appreciate you taking the time to stop by!! This kale sauce sounds delicious! I tend to like green food better. Probably because it’s healthier, so I don’t feel bad eating it. You’re right… it’s not easy being green! 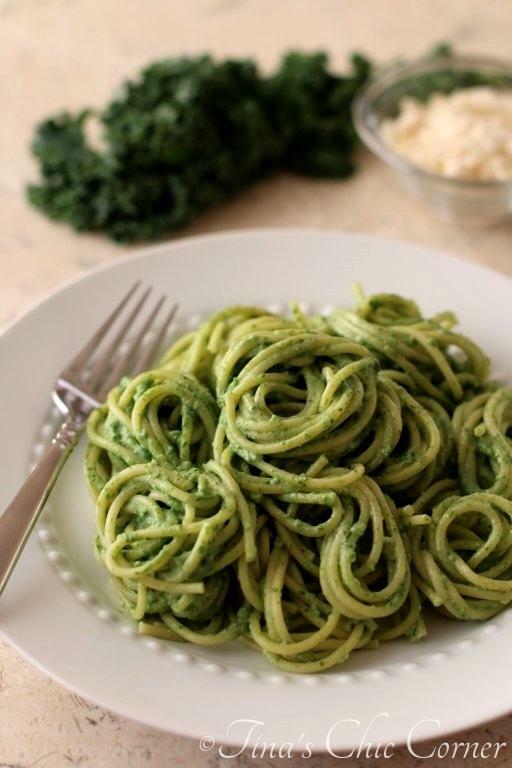 Haha… but this pasta sounds great… love the kale sauce, so creative! I’m a big fan of kale – and you have great timing with this recipe! I have a huge bunch of kale in my fridge leftover from something else that I need to use up! This pasta sounds great! I personally love green foods! 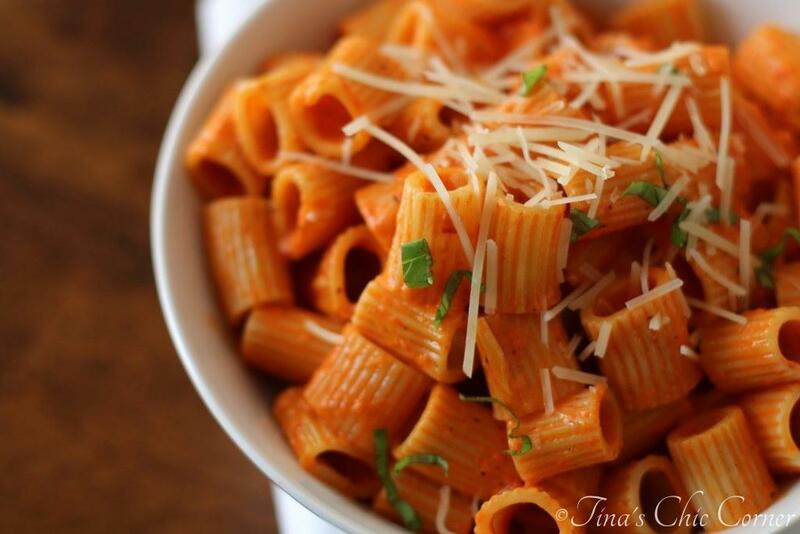 This pasta dish looks perfect. What a great use of kale! Green or not, this pasta dish looks scrumptious to me. The color is gorgeous! I think this pasta is just so pretty! I’ve never had kale sauce before, but I bet it’s delicious. here i was thinking how else could kale be utilized! pasta sauce! never came to my mind! brilliant! Hi there Tina! This pasta sounds amazing. I love pesto so I know I would love the bright and vibrant taste of kale with the ricotta cheese. This is a great vegetarian entry. This looks great, Tina! 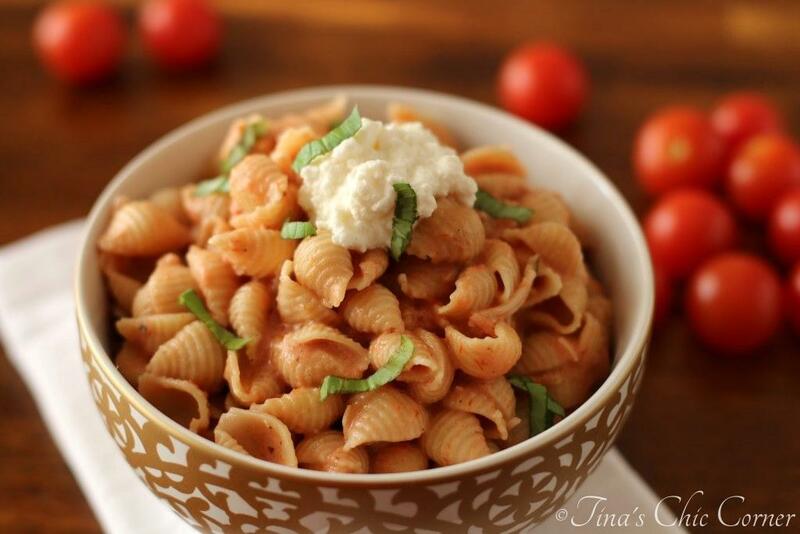 I’m always hunting for fun (and easy) new pasta ideas. Although I suspect finding kale in my local market will be similar to your adventure. We shall see! Thanks for sharing. I hope you have better luck then me finding kale! Tina, this dish is gorgeous! I seriously want a huge plate of that for lunch! What a creative way to use kale. Such pretty pictures too! Tina, THIS I would definitely eat! And, you always make green food so appetizing! I’m a little embarrassed to admit this, but I’ve actually never tried kale! I know, shock horror! Or maybe I have without realising it. But on the whole that bandwagon has definitely passed me by. Still, this pesto looks great. I love different kinds of pestos and even if I can’t find any kale over here in Greece I’m sure I could use spinach or something else green instead! Tina this looks delicious! I love green foods! The more the merrier!! I’m not a huge fan of raw kale, but cooked up I think it is great. I love that you made a pesto out of it. Thanks for sharing!! Love this recipe! 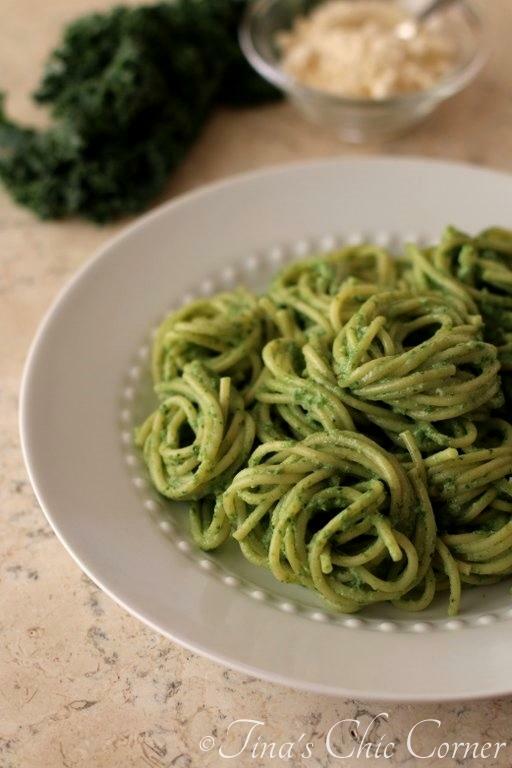 It looks like pesto, but the fact that it’s a kale sauce is even better. Can’t wait to try it, Tina!